The Smallest Bark Collar! Lightweight, perfect your small dog barking problem! Safest bark collar for small breeds or any dog!!! This subtle bark collar has superior engineering! 5-Star barking collar! Feature summary: Bark Counter, vibration and e-stimulation, waterproof and more… The “bark Collar mini” manufactured by Dogwatch, is the smallest and lightest bark collar on the market. As with all DogWatch brand products, the quality and worksmanship on this little wonder is second to none. 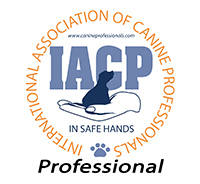 This bark collar was designed by a team of experts from various parts of the industry, including Australia. The idea was to provide a training tool that could be used on every type of breed and deliver any form of stimulation influence, depending on the application and barking habit. 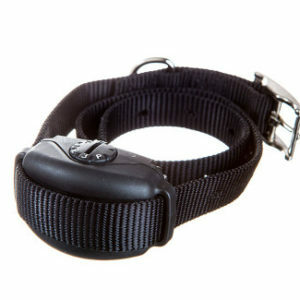 This bark collar can be programmed to deliver a vibration, or e-stimulation depending on what is necessary to minimise the barking. There is even a “bark counter” which will help you determine the correct level to soften the dogs barking. 10 Levels within 5 settings! The Bark Collar mini™ is designed to modify and improve your dog’s barking behavior. If your dog barks excessively, the Bark Collar mini delivers a vibration or a stimulation at a level that is just enough to distract your dog and break the barking cycle. The Bark Collar mini has 6 adjustable settings from low to high plus a vibration option so you can select a setting appropriate for your dog. The vibration or stimulation gradually increases within the selected setting if the dog continues to bark. When the barking stops, the collar resets. The 6 adjustable settings include a vibration setting, 5 stimulation settings. When the dog barks, the level of the vibration or stimulation (for that setting) slightly increases . 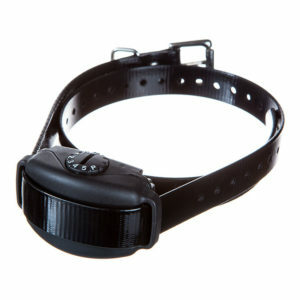 When your dog stops barking, the Bark Collar resets to the lowest level for that setting. 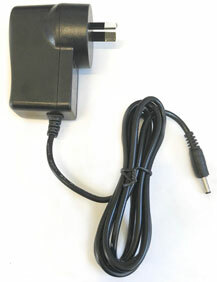 The long-lasting, user replaceable battery typically lasts up to 6 months depending on usage. Lets you know when it is time to replace the battery. Lightest weight and smallest of any bark collar! Bark Forgivness: Allows several barks, then delivers selected stimulation. Correction Auto Shutdown: The unit will not deliver more than 15 corrections in a period of 15 minutes. It will suppress corrections until this time has passed. Bark Counter: Indicates how many times the collar needed to activate due to barking. Battery life depends on frequency of use and the barking behavior of the dog. A collar that is worn for long periods and triggered frequently will need battery replacement more often than a collar that is worn for shorter periods and triggered only occasionally. 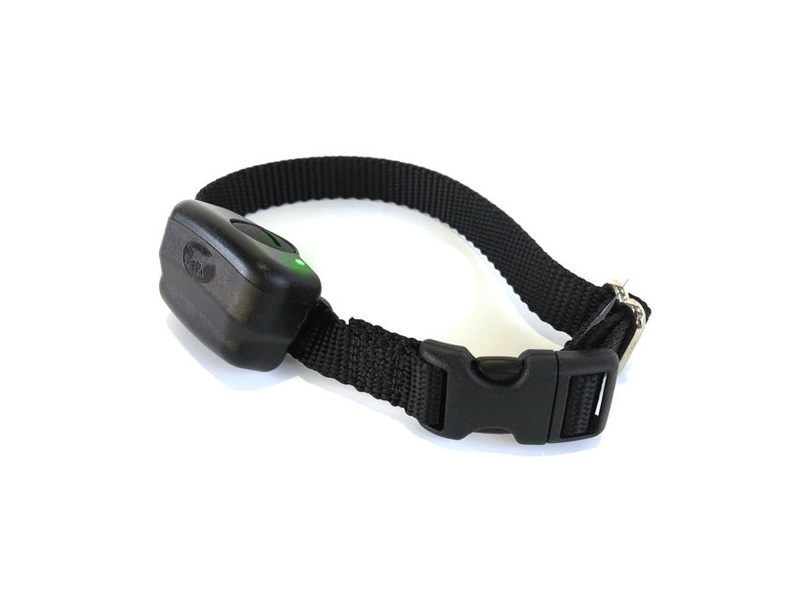 The battery typically lasts around 6-months or less for a collar worn daily with moderate activation. Is the battery easy to purchase? Yes. Our online shop is a fast way to get one. Battery wholesalers also carry the required battery. Please make sure there is no plastic sleeve on the new battery as the sleeves will prohibit the activation of the bark collar. 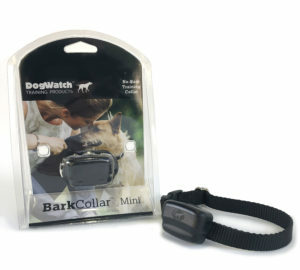 The Bark Collar mini should be effective on dogs as small as 2 kg. No. The electronic stimulation is mild. Imagine a slight tickle or light static, like touching a metal doorknob after walking across carpet. The stimulation gets a pet’s attention, similar to a tap on the shoulder. 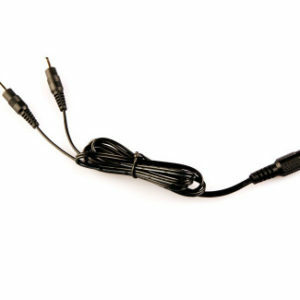 Electronic collars utilise electronic stimulation (ES) not electric shock. ES is the artificial stimulation of a living tissue by means of an electric field or current (IEC). The ES delivered by electronic bark collars is transcutaneous electrical nerve stimulation (TENS), which artificially stimulates nerves and sensory receptors. TENS has no injurious consequences and is often used to manage chronic pain in humans. Typically the ES travels through tissue between two electrical contact points, which are applied to the skin. The ES is contained to the skin and superficial tissues when the contact points are less than 60mm apart. Can my dog wear both the Hidden Fence collar and the Bark Collar? Is the Bark Collar waterproof? Is there a warranty on the Bark Collar? Yes. The warranty is 3 year. We recommend using medium posts for dogs with long hair or a thick coat. Short posts should be fine for short haired dogs who do not have a thick coat. The components in the BarkCollar are specified to operate from minus 4 degrees (C) to 52 degrees (C). A significant and rapid change in temperature may temporarily disrupt some of the Bark Collar functions until the device adjusts to the new temperature level.